An SSIA-style scheme that would allow people to invest their savings into small and medium enterprises would provide the sector with the shot in the arm it needs. 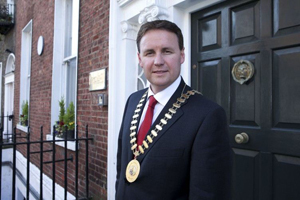 That’s what the new President of the Institute of Certified Public Accountants in Ireland, Cormac Fitzgerald, thinks. In his inaugural address Fitzgerald said that the Government needs to encourage savers to invest some of the €90 billion currently on deposit into small businesses. If savers were allowed to put some of their money into an account which would be lent to or invested in SMEs under the management of the bank and get full tax relief for it, this could divert billions of euros in funding into the sector.